In October 2013, I sat down on the floor of my apartment next to my best friend, Anh, and decided I would start a business while watching "Grey's Anatomy." I had no idea what I was doing; I had no clue the scope or span of what a LLC or a W-9 or an invoice really meant for my new venture. All I knew was that Meredith and McDreamy were on the outs again, and I was formalizing a working business relationship with my uncle, William Bishop, who owned Bishop Enterprises to do his social media for his company. At the time, I did social media for a city lifestyle publication, and I was pretty good at my job. So I knew I definitely could do social media for my uncle, but I had no idea what was in store for me as a business owner. Fast forward two years and a few more episodes later, I'm sitting at the desk of my home office in my new home, listening to my favorite Christmas piano album as I type on a laptop purchased for this thriving little business. This year alone, I met the needs of eight (8!) businesses, consulting on event planning, designing websites, writing brand standards and developing social media strategies for clients in the Ozarks, central Missouri, Ohio and beyond. In February, I developed and designed a website for Mike Luebbering Construction, adding website development to my stable of services available to current and prospective clients. In July and August, I worked alongside my first retailer, Etsy shop Linda Kay's Creations, to develop a fully functional digital portfolio of her handmade creations. In September, I met and fell in love with the hogs of Circle B Ranch, a Berkshire humane hog farm an hour from my door. John and Marina joined two other clients to become the third Checkmate ongoing social management client. The ranch also served as my first food-based brand, letting me explore my passion for food writing outside of the publications I write reviews for and into the world of food marketing. And in October, an old friend from college reached out to connect me with Claudia and Carol Ball, owners of Diet Center of Cincinnati. I was given the task to build their social marketing strategy from the ground up, developing brand standards, writing a formal website review and an all-encompassing social media strategy on both a monthly and yearly basis for the brand. 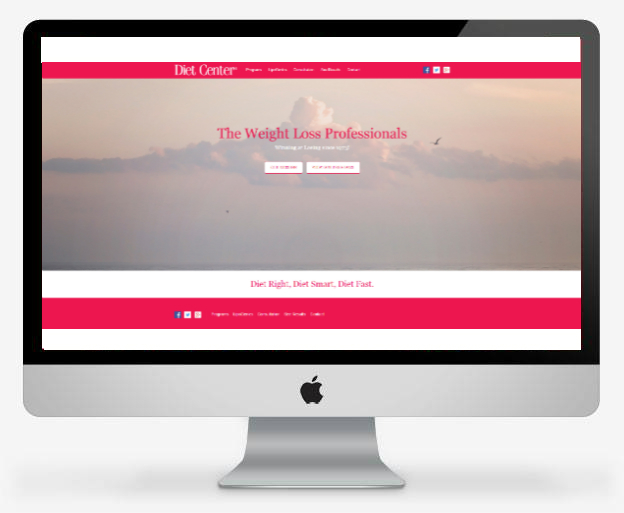 The weight loss center became the fourth Checkmate ongoing social management client to close out the year. It's been a busy year, full of punny tweets, engaging Facebook posts, click-worthy social advertisements and increasingly well done graphic design images, all created for Checkmate Consulting clients in mind. I'm developing my skills at a rapid pace, and I'm calling my dad, another small business owner, every time I don't know what to do. I'm getting better as we go along. And in 2016, "Grey's Anatomy" will still be on ABC, Bishop Enterprises will still be a client and Anh will still be my best friend, serving as a trusted adviser when I ask how much is too much. We'll see what the year and Shonda Rhimes brings.